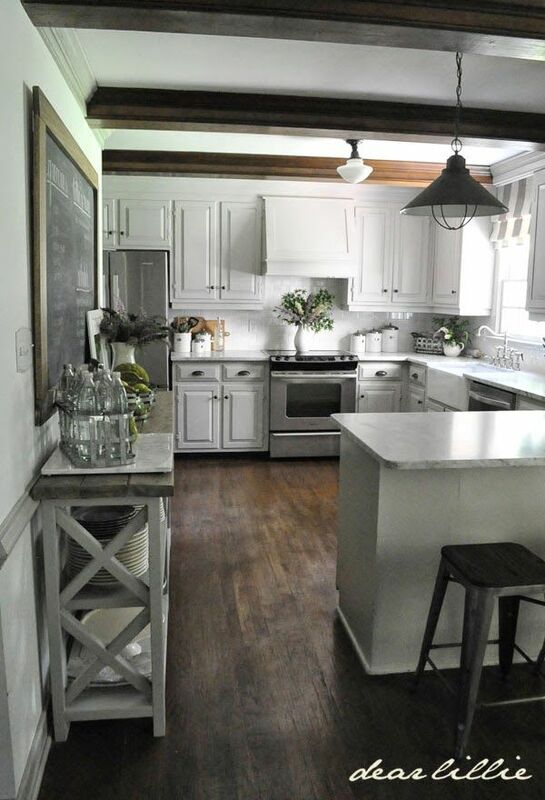 Have you ever thought about doing a faux beam in your kitchen? 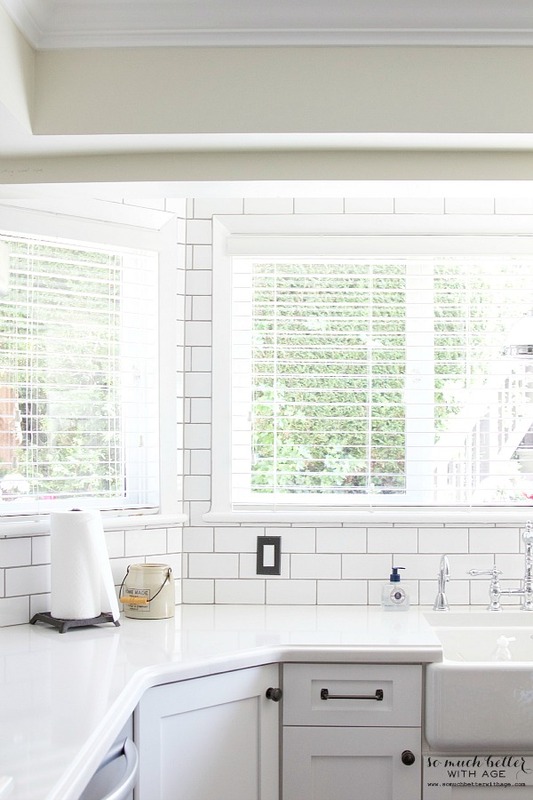 Check out some wood beam inspiration. I love all things French! 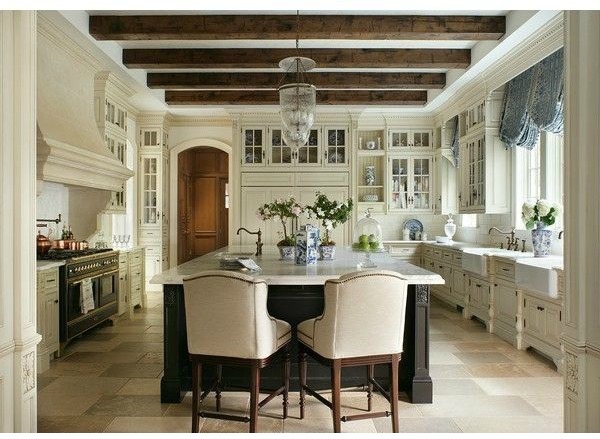 When I think about a French country kitchen, wood beams top the list. 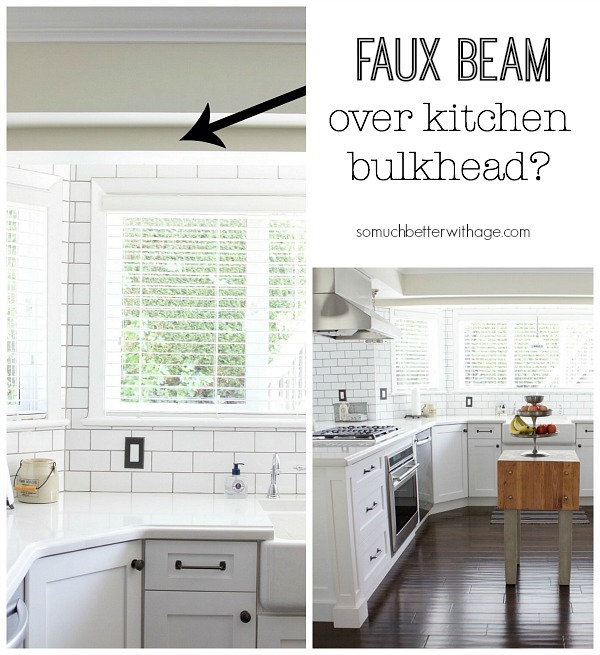 I have been wanting to add a faux beam to the bulkhead in my kitchen. I’ve been searching for inspiration and came across some great blogs to find it. 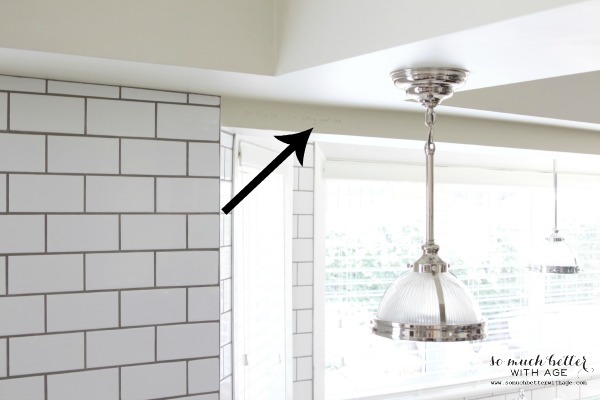 Should I add a faux beam over this kitchen bulkhead? Here’s my kitchen. You can read all about the renovation process HERE. It’s gone through a lot, this kitchen! This is the part I want to make look like a beam. Not the large bulkhead but this tiny one. It’s actually part of the wall. 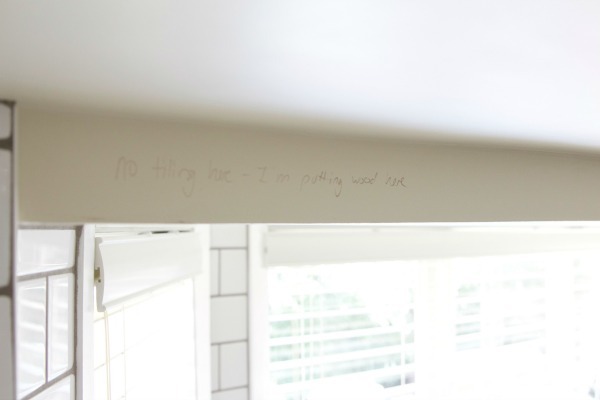 When my tiler was here, I even wrote in pencil ‘no tiling here, I’m putting wood here’. That pencil marking is still there! I think a faux wood beam would look amazing. I’m thinking of staining some thin plywood or MDF and gluing it down. I don’t want something really heavy because it’s not really a beam. So here is where I’ve gathered some beautiful inspiration from – from some of my favourite blogs. White Buffalo Styling Co. DIYd this gorgeous number. That beam is amazing! I die when I see this kitchen from The Enchanted Home. Stunning. 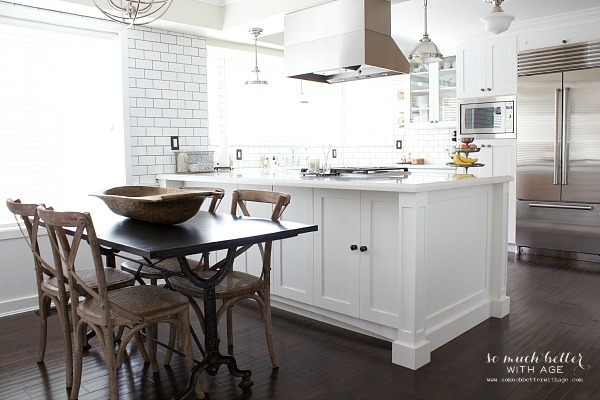 One of my all time favorite bloggers, Dear Lillie‘s kitchen is perfect. I also want that island and double fridge. 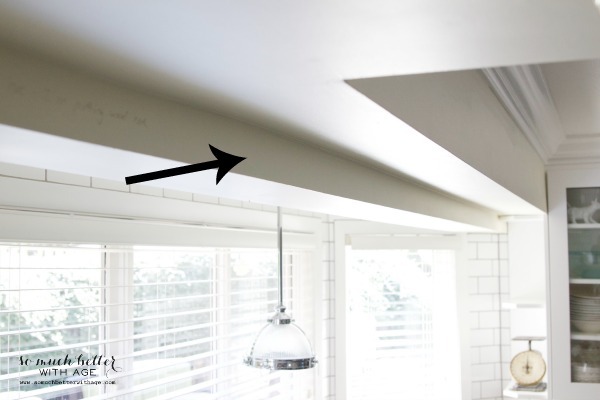 Jenna Sue Design has unbelievable DIY projects and these beams she added are perfection. 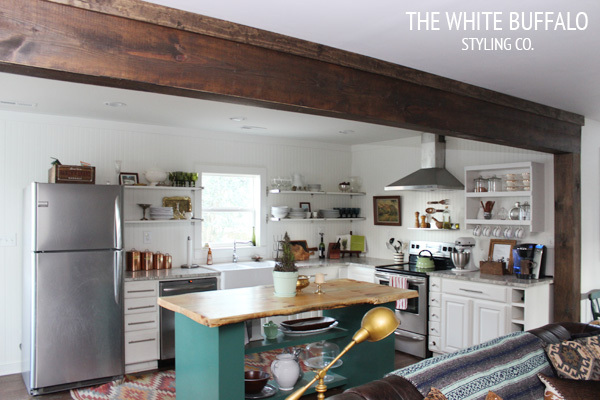 A faux beam would look great in my kitchen, right? I say go for it. It will look awesome! 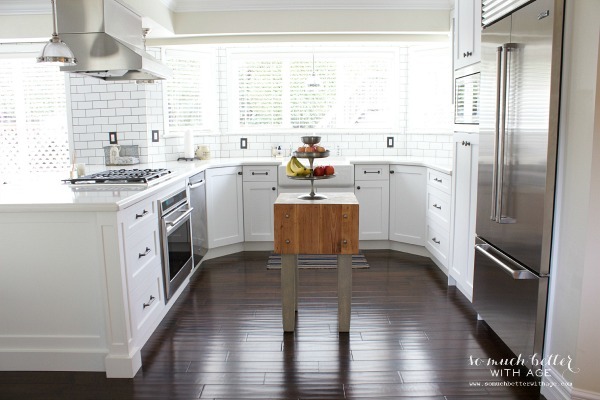 I love the look and think it would look great in your beautiful kitchen! 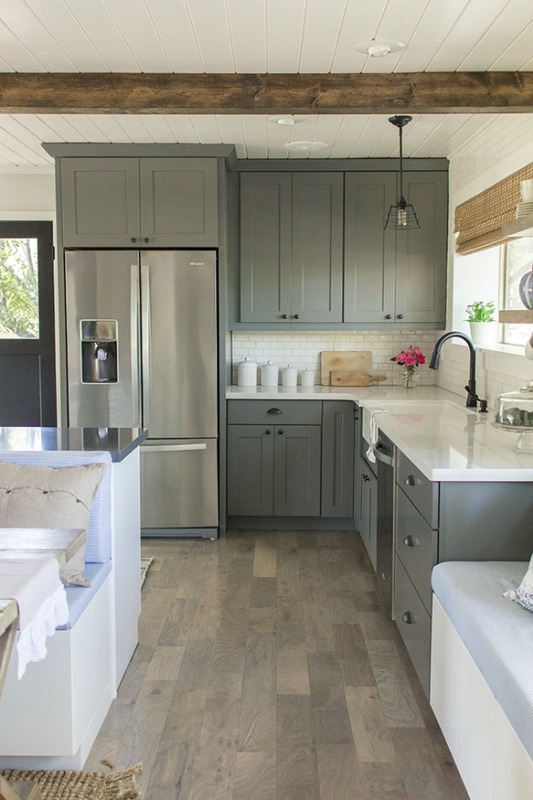 Oh I just love those kitchens!! I think a wood beam would look great!! So pretty!! Thanks Shawnna. I can’t wait, it will make a world of difference. Great idea Jamie. Go for it! GREAT idea and your solution sounds perfect!!! I agree – the rustic contrast would look lovely! haha so true, Jamie! Thanks so much. It will look great! Go for it. There is a product called Stikwood that I bet you could use to make it look like wood. It comes in different finishes, and you basically “peel and stick” it on. Laminate flooring would also be extremely light and give you the look of wood up there. That’s amazing, Rebecca! You just changed my life. What a great idea! I think a beam there would look amazing. Maybe a lighter wood would be more ideal, like a grayed drift-wood piece instead of a dark mahogany color. Yes! I love that idea, Molly.